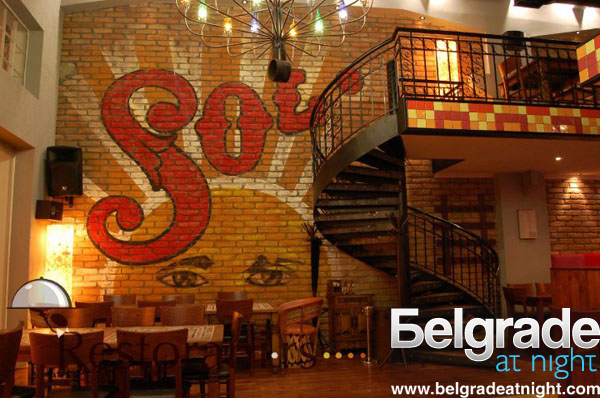 At the confluence of the Sava and the Danube, in the concrete hall, you will find a bar-restaurant Cantina de Frida. The interior is in the Spanish-Mexican style and it is divided into two parts – the base and gallery. The brick walls are decorated with stylized characteristic of graphite. Spanish cuisine is rich of hot and cold, meat and seafood, “tapas” of salmon, squid and cuttlefish. A large selection of beverages was expanded with famous Spanish sangria.